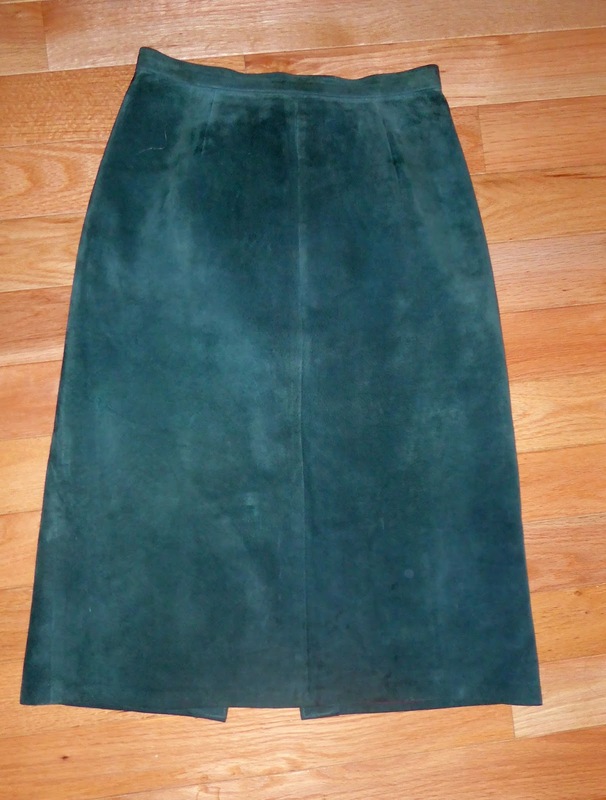 I have this thrifted green suede midi skirt that I bought earlier in the year. It was too tight on me - I wasn't able to zip up the top 2 inches of the zipper. I was going to make a purse with this skirt. However, I like the a-line shape of the skirt and I read that midi suede skirts are on trend this Fall/Winter. 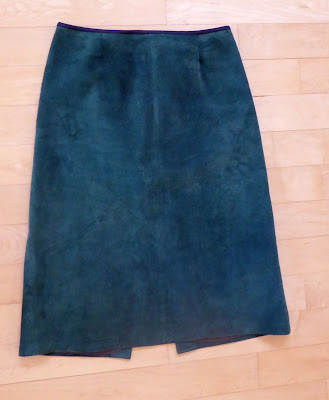 So I decided to do a quick and easy refashion with it! Now I can comfortably zip up the skirt. Voila! A quick and easy refashion! I look like a Christmas tree with the red sweater and the green skirt! LOL! 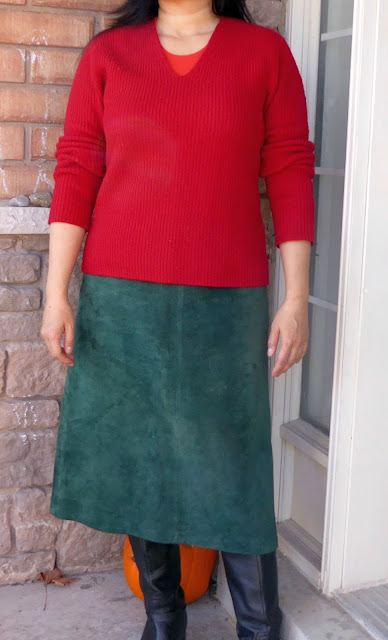 See My Blog for more Refashioning projects. Happy Holidays to all! 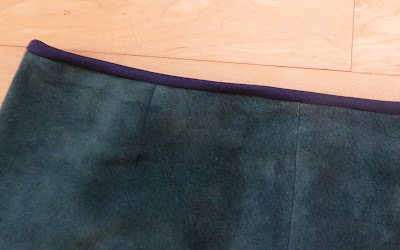 For as many skirts I've refashioned, I never thought about just taking off the waistband and using piping as a replacement. Thanks for the tip, and I'll have to keep that in mind next time. 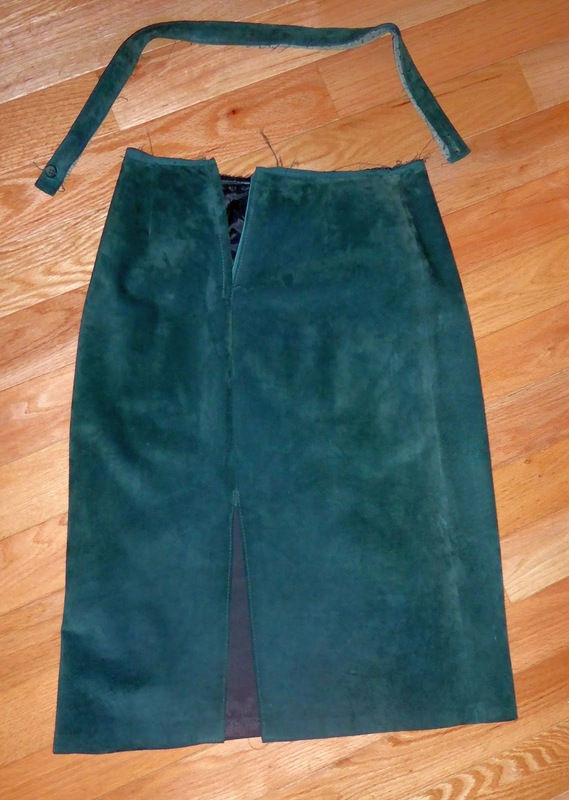 This is a brilliant refashion solution for a too-tight waistband. I must admit that I have a few :) Thanks for sharing your awesome idea.